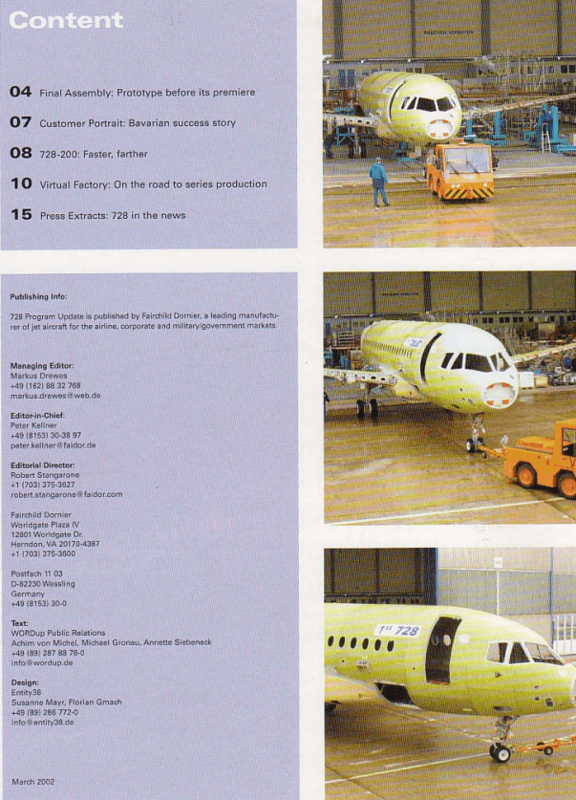 Case Study Public Relations for Industry and Production: The Dornier 728 was a twin-jet standard short-haul aircraft. 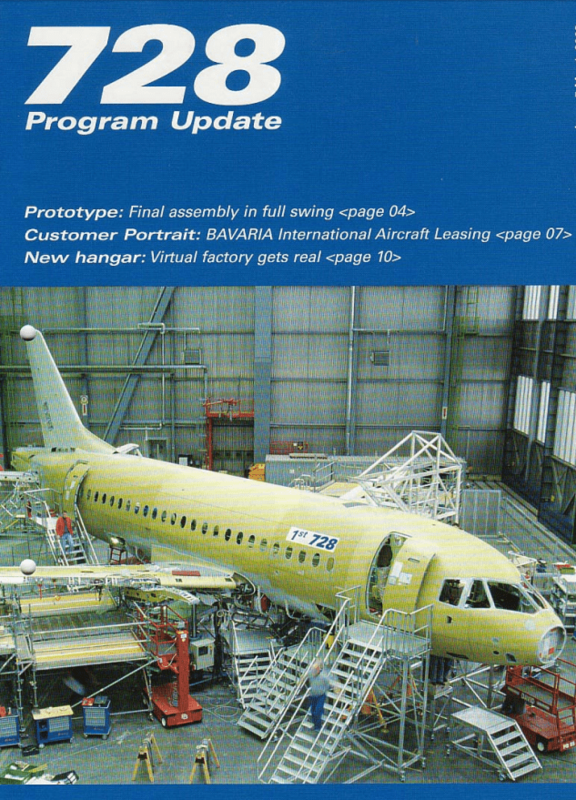 It was designed for 70 to 85 passengers and was intended to compete with the Embraer 170 and Bombardier CRJ700 models. A large trunk cross-section was taken into account. The aircraft was developed by the then Dornier Luftfahrt GmbH under the ownership of Fairchild Dornier. 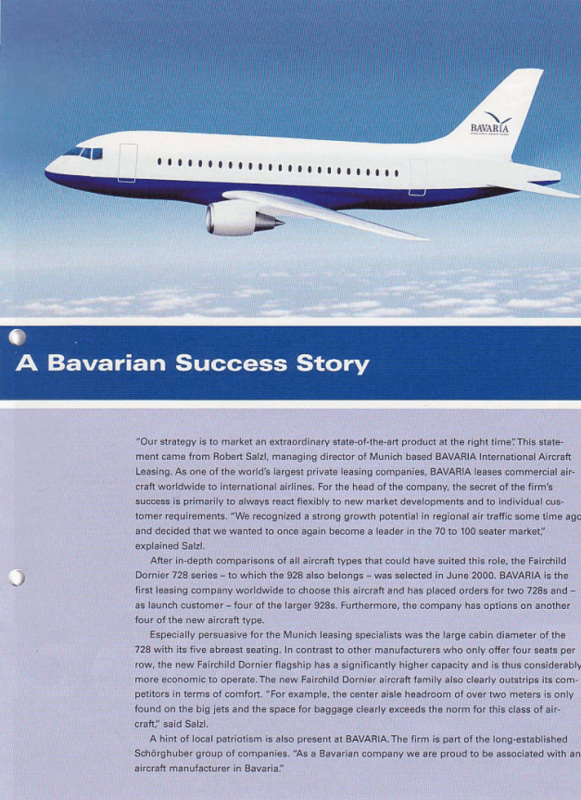 The rollout of the first machine took place on 21 March 2002; The first flight did not come through the intermittent insolvency of the company Fairchild Dornier. The terrorist attacks on 11 September 2001 and the following crisis in air transport also affected the aerospace industry. The relatively small company depended on donors and customers’ complaints, which, due to the attacks, only invested restrictively or withdrew purchase commitments. 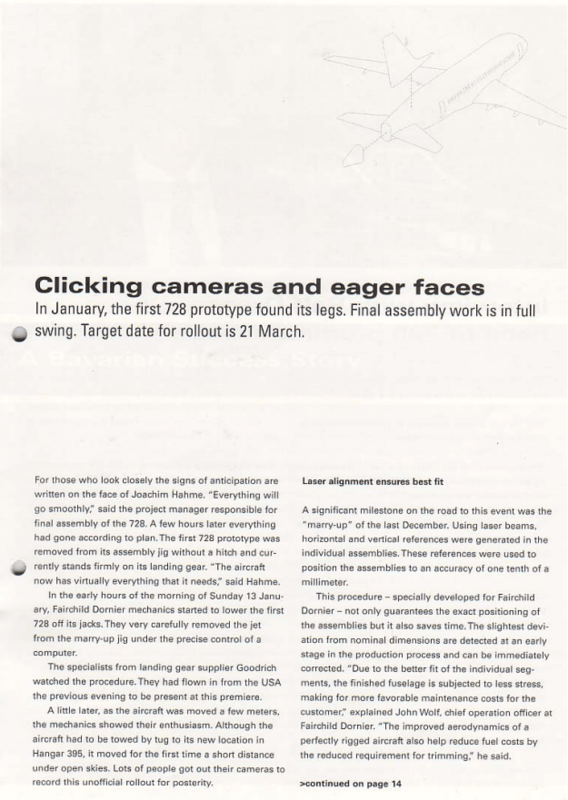 Within the framework of the 728 program three prototypes were built. WORDUP PR accompanied the communication activities of the rollout and produced several editions of the customer magazine 728JET. In addition to FairchildDornier, WORDUP PR has advised other industrial customers such as MTU Aero Engines and the automotive supplier Schlemmer Group. 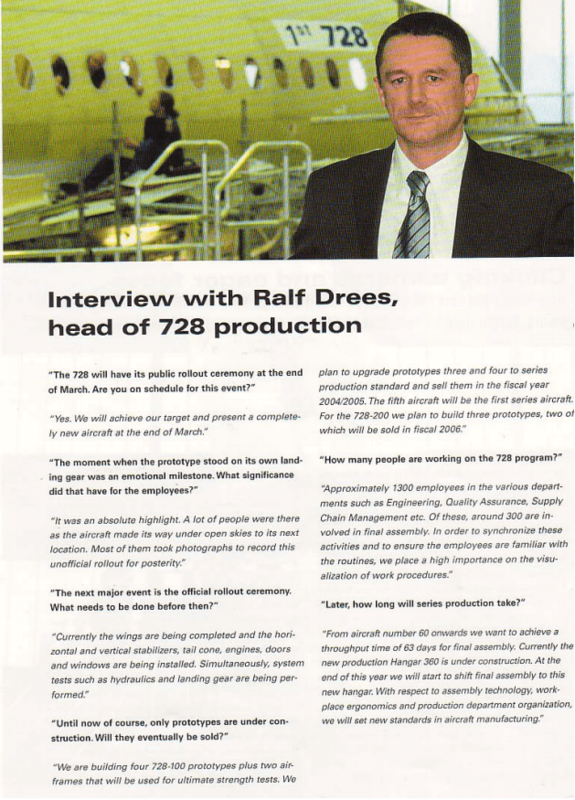 Editing and production of customer magazine 728JET.